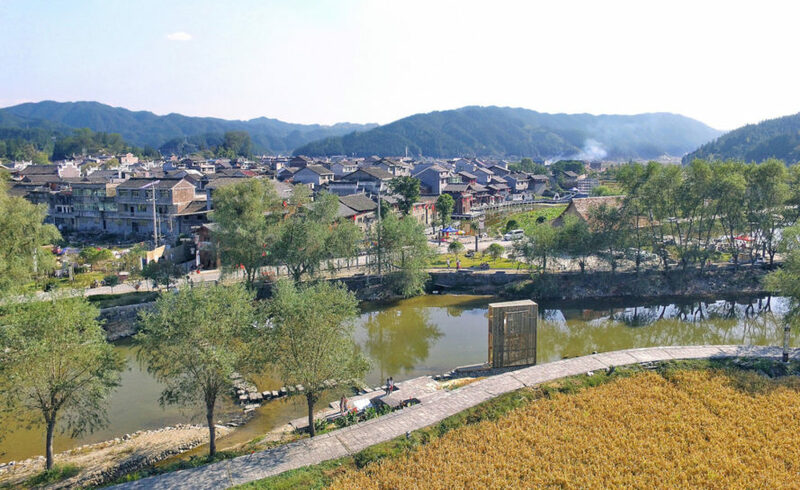 Sitting just outside of the old town of Longli in <a href="https://inhabitat.com/china-2/" target="_blank">China</a>'s Guizhou province, this solitary <a href="https://inhabitat.com/tag/lookout-point/" target="_blank">lookout</a> and shelter channels the isolation and historic struggles of the indigenous people. 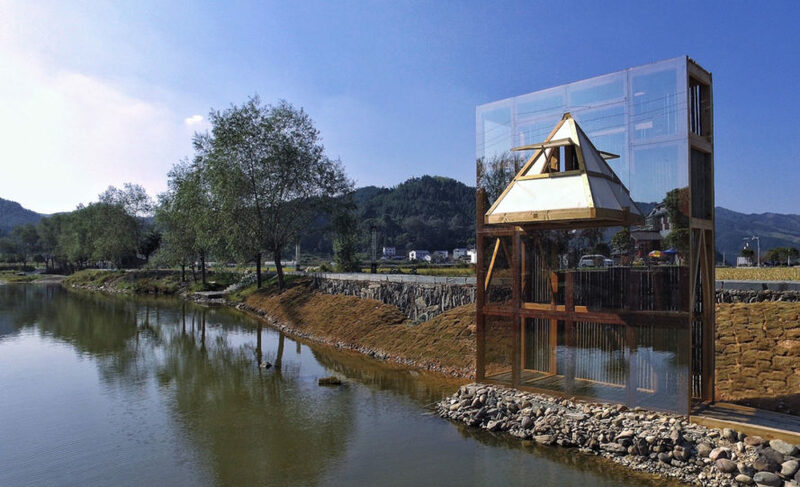 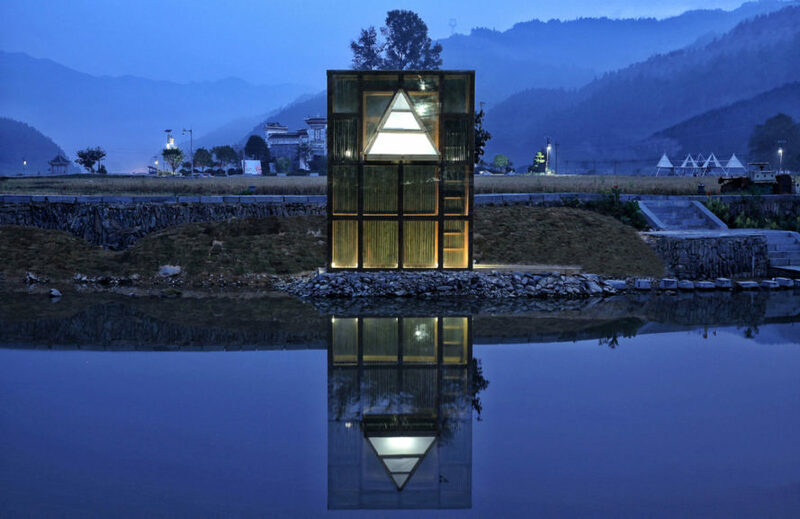 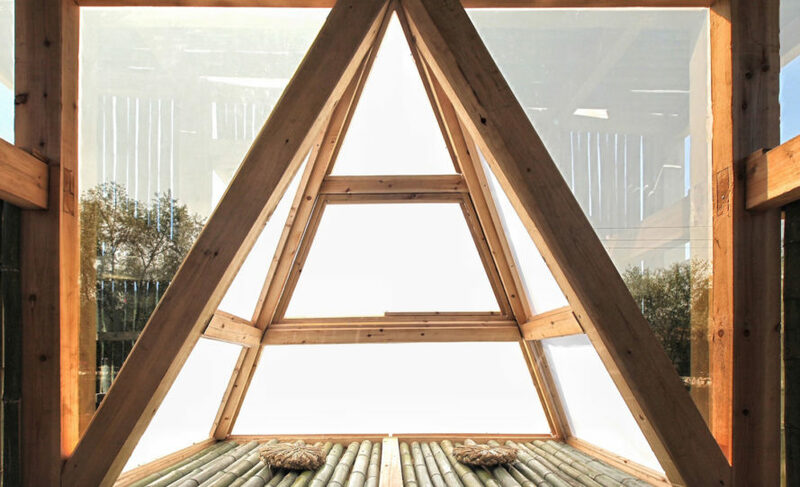 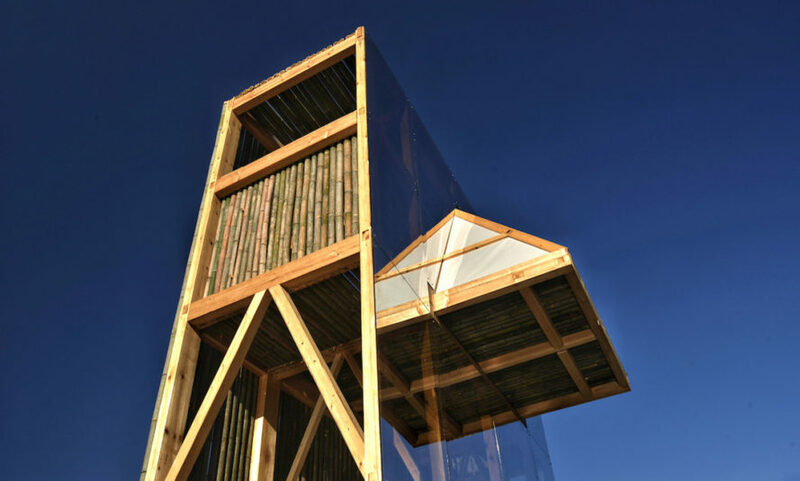 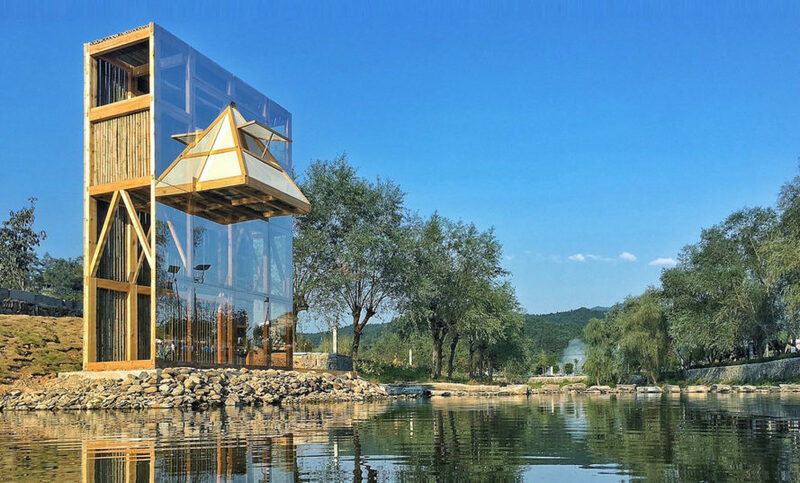 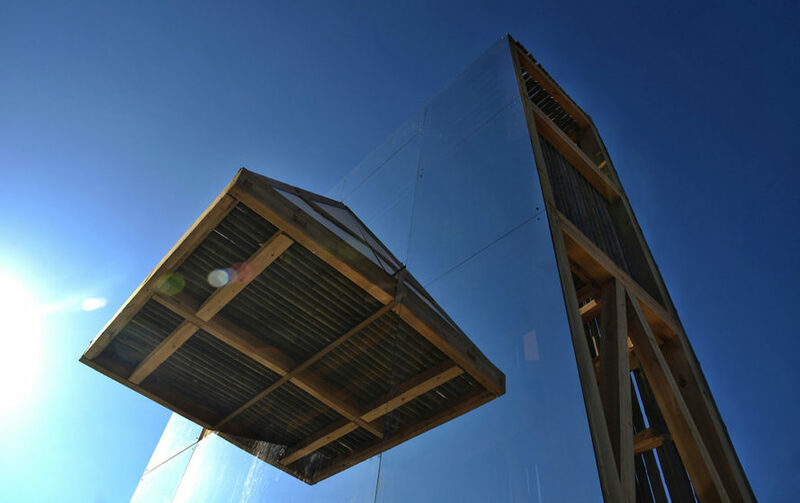 Architect Li Hao designed the structure, named The Mirrored Sight, as a contemporary one-person shelter that, thanks to its mirror surfaces, blurs the line between past and present, man-made and natural landscapes. 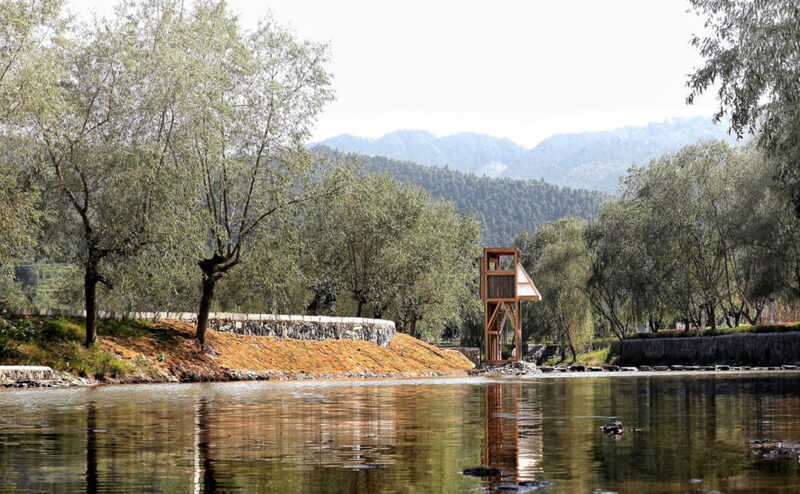 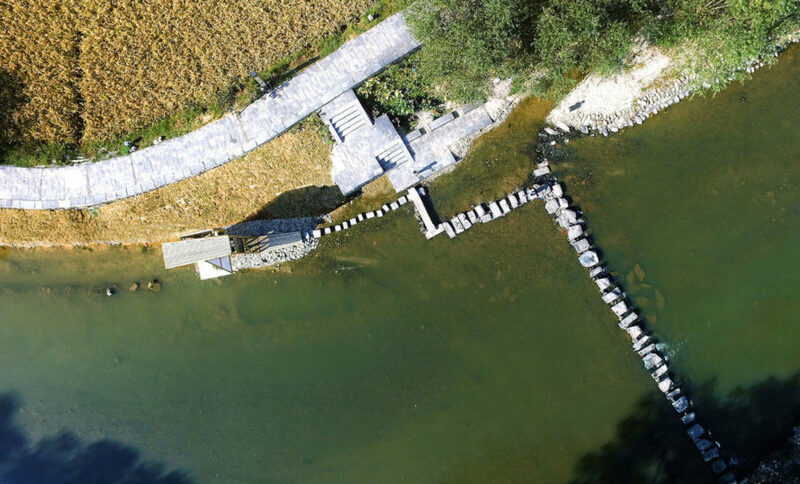 The structure references the blending of different ethnic groups in the region and the isolation which accompanied different migrations that swept across Longli. 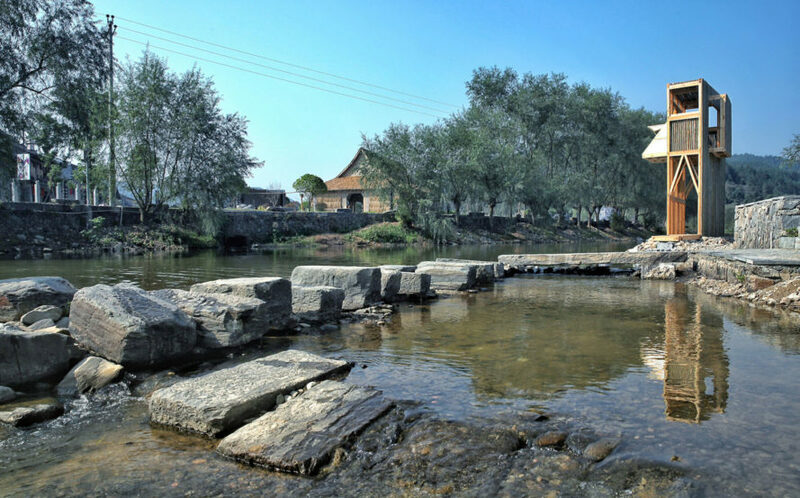 The shelter is connected to the old town by a stone bridge which the locals cross to farm, fish, do laundry and wash dishes. 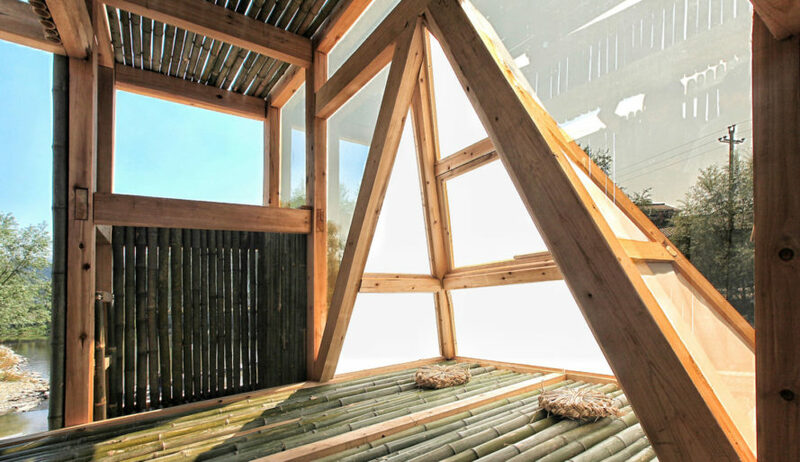 The lower floor is large enough for one person to sit and rest, while the upper floor provides views of the surroundings. 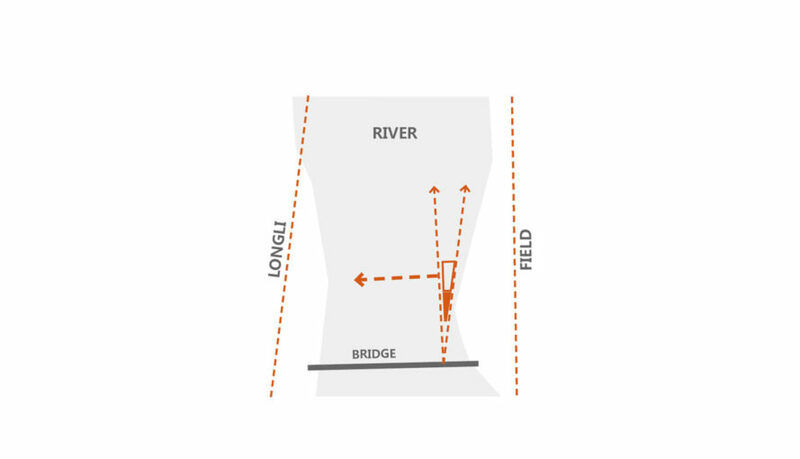 The relationship between the shelter and the site is influenced by the axes formed by the old town, with the entrance of the structure facing the old stone bridge. 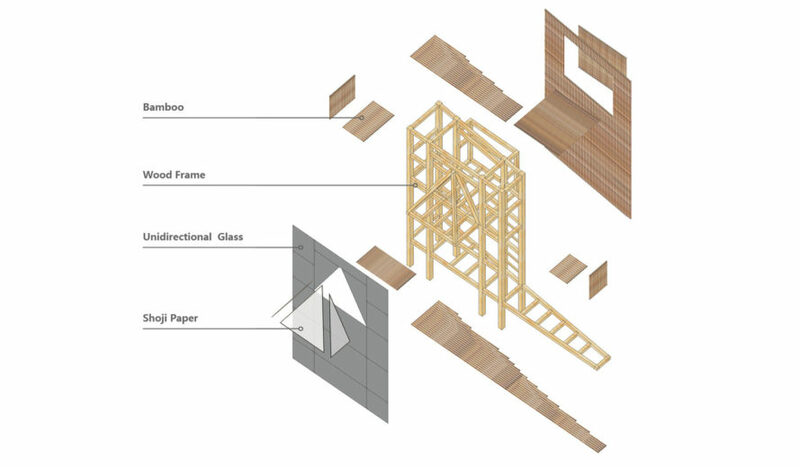 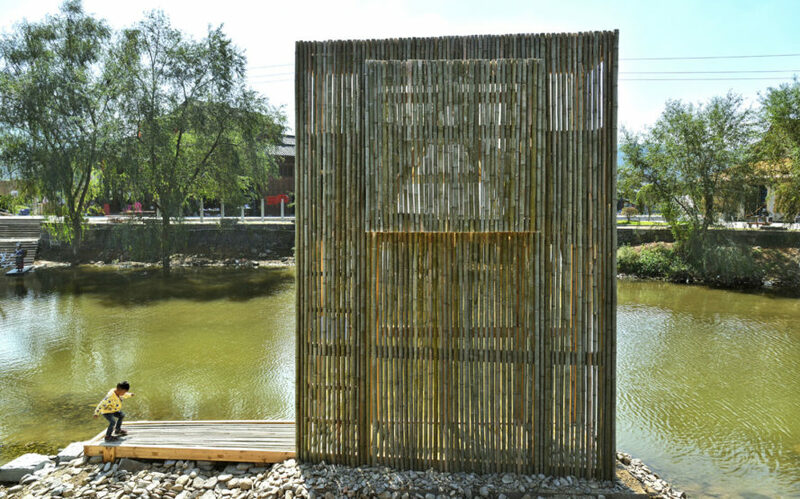 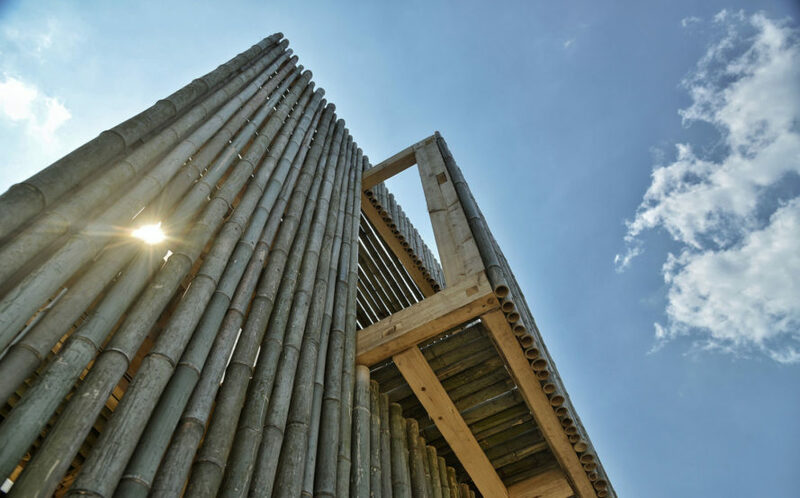 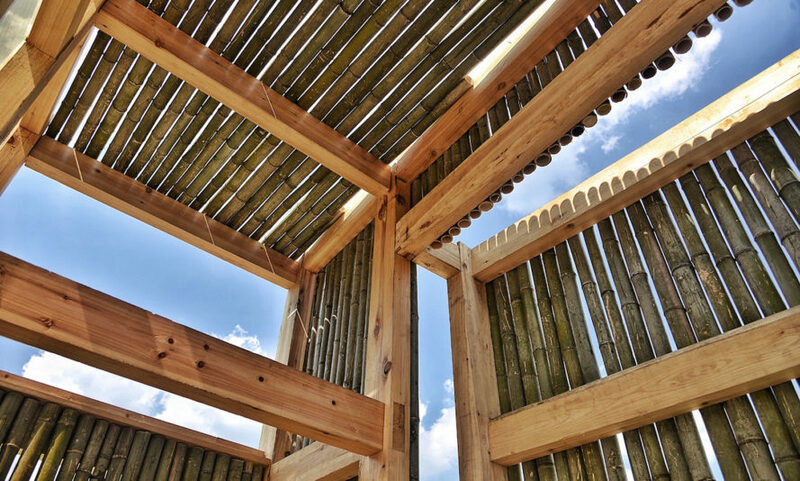 The northern facade, which runs parallel to the axis of Longli town, is covered with locally sourced bamboo, while the southern facade features Pilkington Mirropane (single-transparent glass). 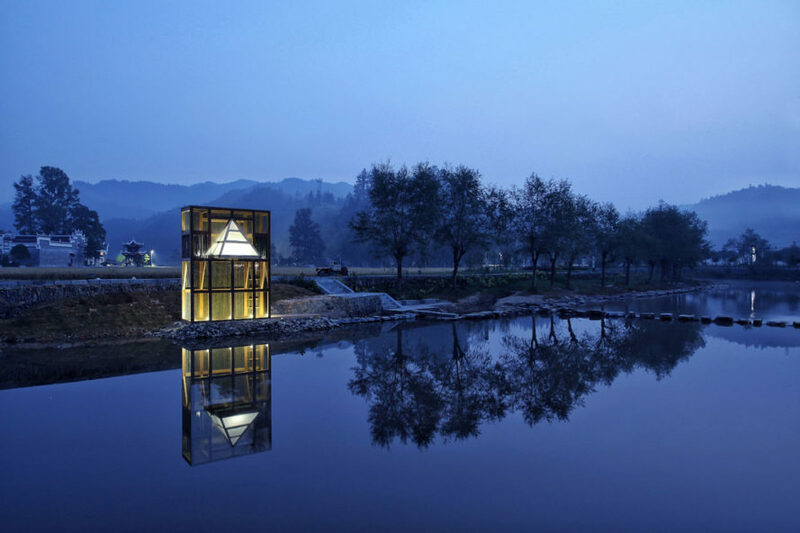 Reflecting scenes of Longli’s daily life south to the river, the glass blurs the line between history and the present. 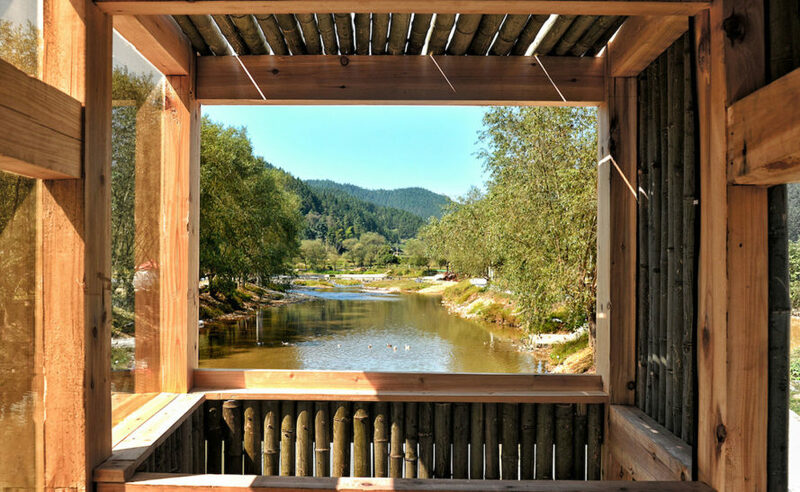 West-facing windows frame a view of the Longxi Bridge, a bridge that was built in Ming dynasty, and forms a shape of bow and arrow together with two roads by the river. 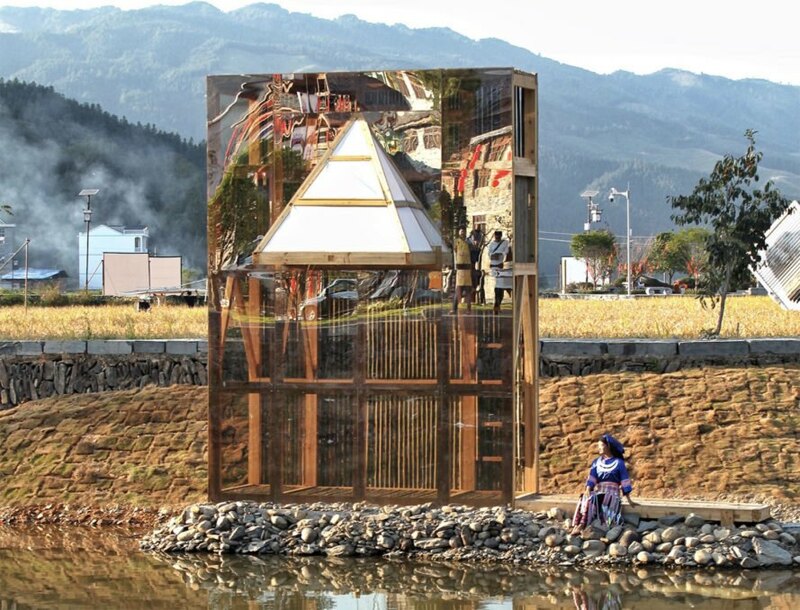 Sitting just outside of the old town of Longli in China's Guizhou province, this solitary lookout and shelter channels the isolation and historic struggles of the indigenous people. 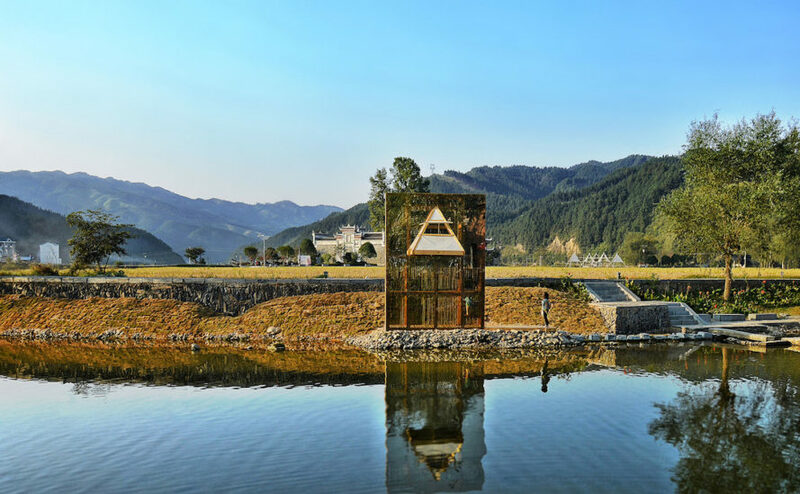 Architect Li Hao designed the structure, named The Mirrored Sight, as a contemporary one-person shelter that, thanks to its mirror surfaces, blurs the line between past and present, man-made and natural landscapes.